About 55 miles east of Palm Beach, Florida on Grand Bahama Island, a Hong Kong-based business is spending about $3 billion on a deep-water container facility, the Freeport Container Port. The concern is that the port will become another debt-trap, like the port of Hambantota in Sri Lanka. There are concerns that Hambantota will eventually become a Chinese naval base. Will the Pentagon have to contend with Chinese warships at Freeport? The Chinese military is already in the Caribbean, in Cuba, apparently to collect signals intelligence from the U.S. Washington splashes plenty of cash around the Middle East, for instance, but American policymakers need also to be concerned, urgently, about critical needy locations closer to home. There's a "Red Storm Rising" just miles from America's shores. "In point of fact, the entire hemisphere is on fire," said Lou Dobbs on his widely watched Fox Business Network show on April 4. "China and Russia are engaging us in almost every quarter in this hemisphere. Russia and China in Venezuela, but China throughout the hemisphere and throughout the Caribbean." Throughout the Caribbean, China's influence is growing fast. Trade and investment have made Beijing a power. Chinese motives are not solely commercial, however, and do not appear benign. We begin on the island of New Providence, in the Bahamas. The Export-Import Bank of China in 2011 extended a $2.45 billion construction loan for the Baha Mar resort, near the capital of Nassau. The project, troubled from the start, is the largest and most expensive in the Caribbean. The project's size is a curiosity, and China's large commitment to the Caribbean is, from an economic viewpoint, intriguing. As Evan Ellis of the U.S. Army War College points out, China, on a per capita basis, has more equity invested in the Caribbean than in the rest of Latin America. This is noteworthy in that the Caribbean has, in comparison to the rest of that region, far fewer natural resources and only a tiny market for Chinese goods. As Ellis told Roll Call, "It really isn't about the market or the materials if you look at the amount that they are investing." So, what is China's motivation? Another large Bahamian investment provides a clue. About 55 miles east of Palm Beach, on Grand Bahama Island, a Hong Kong-based business is spending about $3 billion on a deep-water container facility, the Freeport Container Port. The commercial rationale is that Freeport will be able to take advantage of traffic from the recently expanded Panama Canal, but the concern is that the port will become another debt-trap, like Hambantota in Sri Lanka. China in December 2017 took control of the port Hambantota, by grabbing 70% of the equity and signing a 99-year lease after that project could not repay high-interest loans extended by China. China's takeover was inevitable because Hambantota was misconceived from the get-go. There are concerns that Hambantota will eventually become a Chinese naval base. China's admirals have long eyed Sri Lanka for its strategic location. In both September and October 2014, the Sri Lankan government allowed a Chinese submarine to dock at the Chinese-funded Colombo International Container Terminal. Will the Pentagon have to contend with Chinese warships at Freeport? The Chinese military is already in the Caribbean, in Cuba. According to an October 2018 staff report of the U.S.-China Economic and Security Review Commission, China maintains physical presences at Soviet-era intelligence facilities at Lourdes, Bejucal, and Santiago de Cuba, apparently to collect signals intelligence from the U.S.
Of these locations, Bejucal, south of Havana, is of special concern. Satellite imagery shows a new radome protecting the radar there, and the installation could well be China's. China, after all, has been at Bejucal for some time. Marco Rubio, the Republican senator from Florida, in 2016 referred publicly to "this Chinese listening station in Bejucal." Ellis, in a podcast with Bonnie Glaser of the Center for Strategic and International Studies, noted that Beijing views the Caribbean Sea in much the same way it perceives the South China Sea. This assessment goes a long way toward explaining China's otherwise unusual focus on the 13 island states and 17 "dependent territories" — what once were known as "colonies" — in the region. That focus also goes some way to understanding the tirade of Haigang Yin, China's chargé d'affaires in the Bahamas, last month. 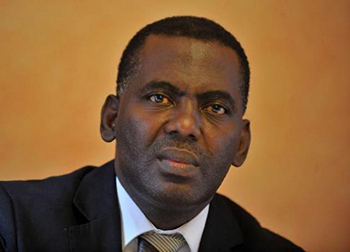 Days before U.S. President Donald Trump's March 22 meeting with five Caribbean leaders — including the Bahamas' — at Mar-a-Lago, Yin accused the U.S. of attempting to "disintegrate solidarity and cooperation between China and other developing countries." Chinese arrogance has now become breathtaking. 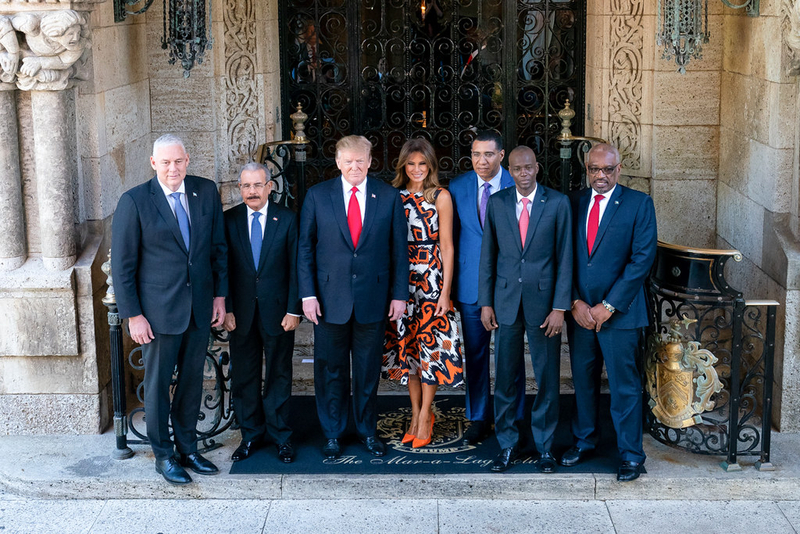 Despite Beijing's efforts, Trump met with the Caribbean leaders. Yet Washington's intensified engagement with the region is still inadequate to meet Chinese challenges. As Fox Business anchor Trish Regan said on her prime-time show on April 5, "Not since the Cuban Missile Crisis in 1962 had we had such an enemy present in our own hemisphere." Up to now, America has mostly left the Caribbean alone. As is often said, the Caribbean is "too democratic and not poor enough" to get U.S. attention. It is, however, correctly called America's "third border" and "soft underbelly." This underbelly is now being remade with Chinese cash. For instance, five countries there — Trinidad and Tobago, Grenada, Dominica, Antigua and Barbuda, and the Dominican Republic — have joined Beijing's ambitious Belt and Road Initiative, an infrastructure plan meant to tie global trade routes to China. As Beijing pushes the initiative in the region, there are concerns that more countries will be "debt trapped," like Sri Lanka. USAID Administrator Mark Green is right to label Beijing's loans to Caribbean borrowers "predatory financing." American warnings, however, do not mean much if the U.S. is not offering alternatives, as Margaret Myers of the Inter-American Dialogue told Roll Call. After Trump's Mar-a-Lago meeting with Caribbean leaders, the U.S. promised to send a delegation to the region. Moreover, the State Department has its own plan, labeled "Caribbean 2020." Despite catchy names, American programs need cash to back them up. Washington splashes plenty of cash around the Middle East, for instance, but American policymakers need also to be concerned, urgently, about critical, needy locations closer to home.